A Working Mom lifestyle can be overwhelming. Too much worrying or anxiety leaves you feeling super tired, right? That kind of emotion zaps your energy during a time in your life where you need as much energy as possible. It’s no wonder that finding confidence and joy can be a challenge! Having confidence and joy can keep you going. So how can you become a confident and joyful working mom? Try going through the following thought exercise to create your ideal working mom image. Dwell on a question while you drive to work or fold laundry. Leave a pad of paper in your purse to jot down thoughts when they come to you or make a note in your phone. Just be sure to capture the answer or new thought before it escapes. When you start daydreaming about your ideal working mom image be sure to ignore how other working moms are managing their life and career. Why? Because things aren’t always as they appear. You might base your ideal working mom image on something that is pure fiction. You don’t want to set yourself up for failure right out of the gate. Instead, focus your attention within YOU. What Would Your Ideal Working Mom Image Look Like? 1. What kind of Working Mom do you want to be? Full-time? Part-time? Working from home or from the office or perhaps a remote office? 2. What are the important qualities a daycare needs to have to care for your child? 3. How can your daycare make your life easier? 4. What are some things that you wish you could implement to make life easier but never have time to do so? 5. What pet peeves do you have about your working mom lifestyle and why do they tick you off so much? 6. What tools would you want to help you be the best working mom you can be? Use your imagination here. Don’t pressure yourself to think of the name of that app that you heard someone else recommend. How you are integrating your career into your life? 7. What are the good things you are doing to integrate your career into your life successfully? 8. Do you have a great schedule? 9. Have you set the right boundaries at work so that people know where you draw the line? For instance, knowing when your plate is too full and saying no is a great skill set to have in your work/life integration toolkit. 10. Are you playing to your strengths? Are you taking on projects that fuel your strengths? 11. Are there skills that you want to improve that you could get training on? 12. Where are you on your career path and what goals do you have set up? I’m not referring to the goals in your performance review, although you could think about these. I’m talking about what is fueling you to continue down the career path you have chosen. Where are you headed, why are you heading that way, and what are you going to do next? How Do You Use Your Time and Your Energy at the End of Every Day? 13. Write down every little thing you did today. Include everything you did for your family, your job, your career development, your home, as well as yourself. 14. Write about the conversations you had and what kind of emotions they caused. How did these emotions affect your interactions afterward? These could be interactions with others or even yourself. Did you find that you were hard on yourself for something that you messed up on? On the flip side did you succeed at something because of some motivation you received? 15. After writing down your day’s activities and the emotions felt, look for when your personal energy was high and then when it was low and then why did the highs and lows happen. 16. Is there a part of your day that you wished you had more energy? What could you do to give yourself a quick energy boost when you need it and where would you fit that in? Phew! Now it’s time to absorb everything that you’ve learned. At this point, you might be asking yourself, “What the heck am I doing? Nothing is working!” This is great news!! You are about to figure things out. It’s going to take work (yup, more work!) but living according to your ideal working mom image will be worth it and you know it. Once you become aware that things are not ideal change will begin. You can't stop the change that is about to happen at this point because once you are aware of something you can’t become unaware of it. So when the things that aren’t working for you happen you’ll say to yourself, yup, this isn’t working. Something has to change. How to change things may not be crystal clear at first but eventually, it will be. 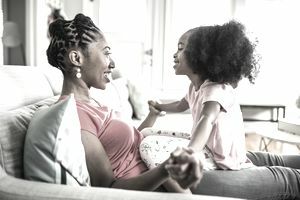 This will begin the growth of confidence in yourself and your ability to be a confident-joyful working mom.